I want to tell my story about finding my beloved one on this site. My name is George and I am from the USA, Florida. My life is movement. I am musician and I move from one state to another with my band. My last stop was in Georgia. I with band rented a house and were waiting for our concert. One day I saw a couple in the car next to our house. They were our neighbors. I was surprised, how beautiful was the woman in this couple. I remember I thought: “Wow! I like this place if it has so pretty women”! Next day I went to store to buy food and saw that woman. I said hello and asked something, honestly, don’t remember about what) I told that we were neighbors and we had just arrived. She invited us to their house for party, cuz she had a birthday. That evening I with guys went to them. It was great evening and the beginning of my new life. The woman’s name was Dasha and her husband’s name was Jim. He was American, but she was Ukrainian. They found each other on one dating site. They were really so happy together and I realized that I wanted to have the same in my life. After that day I registered on this site. A lot of beautiful brides were here and all of them really wanted to find man for living together. I began to speak with a lot of girls and one of them was my Ksenia. She was even prettier than Dasha. Our communication was honest and open. She could play guitar and understood me very well. We were chatting 3 months and I decided that it was time to come to Ukraine. She was from Odessa. It was like adventure for me. I’ve never been in Ukraine before, just heard about it from news. Our first meeting was funny, she came to airport with piece of paper with my name and with a lot of colorful balloons. My creative girl. I love her for this. She impressed me and I fell in love, the first time in my life I was so happy. For now she is my wife, we travel together. Thanks heaven and this site for such gift. 5 Years – Happy Birthday, Step2Love! These days, Step2Love is celebrating it’s birthday! We are really happy that you are with us no matter how long, as we always do our best for improving our services and making our customers the happiest and luckiest in their search of love! We improved our support, we introduced two-sided video chat for the price of 1 video chat, and we develop new convenient ways of communication with ladies so that your virtual dates can feel like the real ones! Comments Off on 5 Years – Happy Birthday, Step2Love! Love is the most important thing of our lives. It can be common deep feeling towards each other, caring attraction or just sexual desire. Each of us has own opinion, idea about the concept of love and how important it is. What about the genres of movies and what can we say about the people who are watching them? When you only start communication and you still don’t know a person well, you may face such a problem as awkward silence. You want to keep on talking, but you don’t know what to say, and this makes you feel a little bit frustrated, as you really want to make a lady like you but not to think that you are weird and bad interlocutor. So, what to talk about so that you avoid awkwardness and let your lady tell more about herself too. A Scorpio woman is a mysterious, passionate, powerful and dramatic sign. It consists of such qualities as unreal strength, impossible power, brilliant mind and passion. 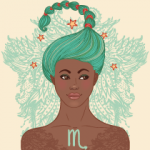 A Scorpio woman has a whole kaleidoscope of mood, it can be good and in the same time aggressive. She is an extraordinary person and will be interested in some magical, unusual, creative, art and man-made things. Moreover, she is so sensitive that can feel the nature with all one’s heart. I’ve been the member of this site, when I met her here. First of all I want to introduce myself to you. My name is Tim and I am citizen of the USA. I have 2 daughters and 1 son. I have great relations with my ex wife. We are separate for near 7 years, but she is the mother of my children, so I respect her. I am an electrician. After divorce I was alone, because I didn’t want to build something new. Divorce was painful for me and it hurt me. I registered on site for fun, maybe wanted to remember how to be a man and speak with women. First of all I was surprised because I’ve never seen so many beautiful ladies on one site. The first letter, that I received after registration, was the letter from Elena. She was pretty, but too young for me. I am polite person and I, honestly speaking, answered just because it was the rule of etiquette. But in second letter from her I saw something special in her thoughts. She looked clever and well-educated. She understood what she wanted from life. I began to speak with her and fell in love. God I didn’t know how it happened, but it was so. Every day I waited for our chat. I was so upset when she didn’t have possibility to turn on the cam. But I didn’t tell her about my feelings, because when we began to communicate we decided to be friends. I remembered that day when I told about my love. It was last winter. I got a letter from her with time for chat. It was usual for us, because I had work and she also had one. So I came to chat room, but she was off line. I tried to write, but she didn’t answer. I began to worry about her. For 2 days I didn’t know anything about her. And when I saw that she is online after those 2 days, I wrote that I loved her and asked her not to go away. She was surprised and happy! She said that she also loved me and wanted to meet in real life! I came to Ukraine last spring and we became a couple! I am happy now and I am not afraid to be hurt again, because I just found my half! I feel it! Thank you and this site for help! How to Be Interesting for Your Lady? You finally found your beloved one and you want to be the best for her! But you feel that you are not interesting for her. In this article you will find some pieces of advice on how to be more interesting for your lady! Comments Off on How to Be Interesting for Your Lady?